stack.horizobu.com is a search engine for the various Stack Exchange question and answer sites. 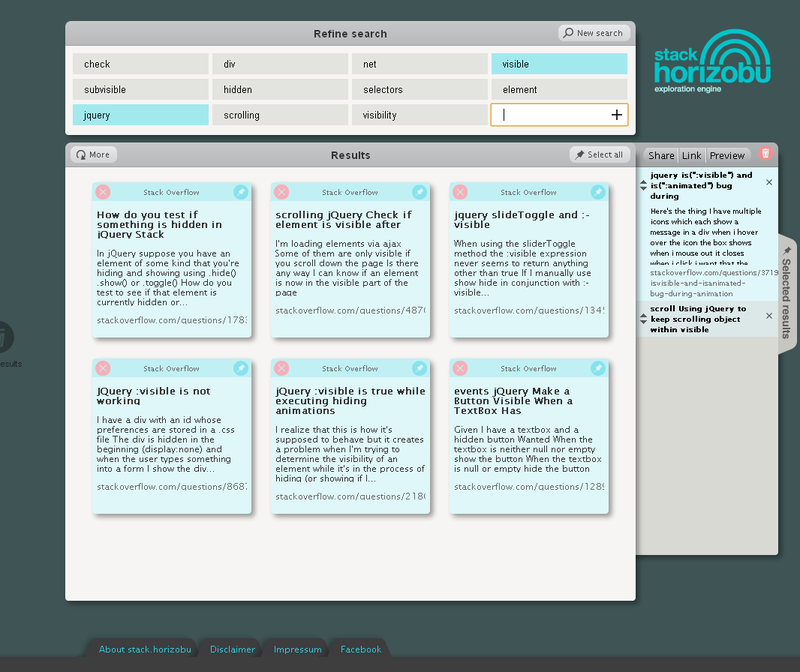 horizobu assists you in your search by suggesting related query terms. The query terms allow you to explore a topic that you are unfamiliar with and therefore helps you to find the answer to your question. You can collect results and share them with your friends; e.g. a results for "jquery visible". stack.horizobu.com is designed for people that are looking for a dedicated search engine for the Stack Exchange sites. Any platform that runs a reasonably new browser. The horizobu team can be reached with the feedback form. Browse other questions tagged app search data-dump .